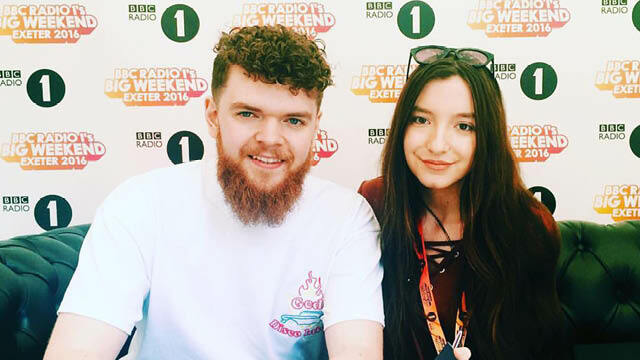 We sat down with Jack Garratt backstage at BBC Radio 1’s Big Weekend Exeter 2016 at Powderham Castle before he went on stage and talked about his new album ‘Phase’. Can you tell me about your album ‘Phase’? J- Phase has been a long time coming, It’s been about four years of writing it and producing it and trying to figure out exactly what it is. I still don’t know what it really is but I know that it’s exactly the album I was always going to make! Kind of just by the definition of that it is the album I made. I’m very proud of it, it’s been a lot of hard work, and a lot of honesty and a lot of patience have gone into that record. I’m extremely proud of it. Your last album was well received; do you feel any pressure when thinking about releasing new music? Did you face any challenges when making your recent album? Who was your main influence while growing up? J- There’s a rapper in Chicago that I’m obsessed with, a guy called Chance The Rapper, he just released colouring book and I’ve been a fan of his for a really long time, we’ve always said we would like to work together but that’s never come together but I would love to do that! J- I think that would have to be a song called Fire, only because it does everything in it and it’s terrifying to play! It stresses me out to play but that’s kind of where the performance comes from is the fact that it is so stressful to perform. What is the most important thing you’ve learnt as an artist in the past year? J- Self-respect is incredibly important when creating something, if you don’t respect yourself for creating it, my belief is you shouldn’t then share it to the world because you should have nothing but the truth and love for everything you make and then other people will find truth in the things that you make as well.